Once again, there is sad news from the Northern Pakistan Mountains. 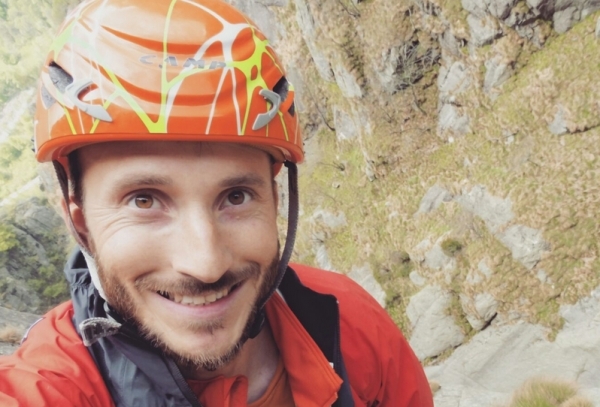 While attempting the almost 8,000-meter peak Gasherbrum IV, 32 years-old Italian climber Maurizio Giordano was hit by falling ice while on rappel. He died on the mountain. GIV is 7,925-meters. He was on an acclimatization rotation with fellow Italian Army climbers Marco Majori, Marco Farina and Daniele Bernasconi. They had reached Camp 2 but decided to return to base camp as weather moved in. Multiple news agencies report the incident occurred at 6,300 meters. His body had not been retrieved yet. They wanted to be the first to repeat the Bonatti-Mauri route along the northwest ridge on its sixty anniversary. 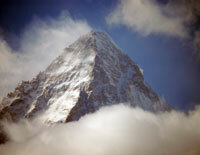 There are several other teams on GIV including Italian Hervé Barmasse and German climber David Göttler. Also the Basque-Catalan group lead by Oriol Baró. Adam Bielecki, Jacek Czech and Felix Berg plan to move to GIV after they climb GII. Finally Oriol Baró, Marc Toralles, Roger Cararach and Iker Madoz are there as well. It appears most climbers are wrapping up their acclimatization rotations on the other Karakoram Peaks including K2 for a late July summit attempt. Its now quiet on Nanga Parbat. There was supposed to be another summit attempt on Broad Peak lead by Furtenbach Adventures but it seems they have not left base camp. But Jake Meyer with Summit Climb reportedly left Camp 3 and experienced the same deep snow that stopped Furtenbach a couple of days ago. My condolences to the family, friends and teammates of Maurizio. I just read your account of your descent of K2. Thank you for writing that. I find inspiration in the words and actions of others that have stuggled and continued on. Even though I’m not on mountains, I still have my struggles to push myself and not give up. These deaths affect me Alan. So much hard work and fantastic people lost. I feel for their loved ones and the climbing community. I so greatly admire these climbers for their mental and physical stamina. But, in some ways, I’m relieved my kids have other passions. Maybe I’m just over protective. Push on even when told to turn back? Keep going after you ran out of supplemental oxygen?